Google long known for spicing up its home page with 'doodle' tributes for various events and famous people's birthdays has continually used humor to soften its often maligned brand persona of being a monopoly... or should I say a Googlopoly! In the spirit of a New Year approaching, I thought it befitting to look back at Google's TOP TEN 2009 artwork and congratulate the Grand-daddy of search engines for some doodles well done. Here are my picks for Google's best logotype tweaks in honor of holidays, special events, and celebrations. 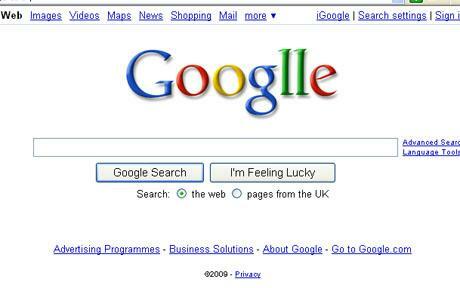 (note: Please vote in our "Top Ten Googles Doodles of 2009 POLL" at the end of this blog). 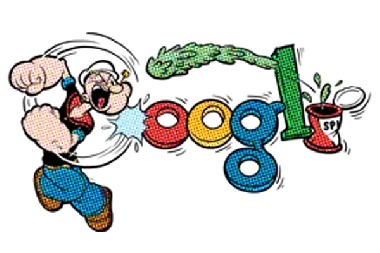 Popeye is one of the most recent doodles to be added to Google's homepage. It appeared on December 8 and marks the 115th anniversary of the birth of its creator, E.C. Segar. 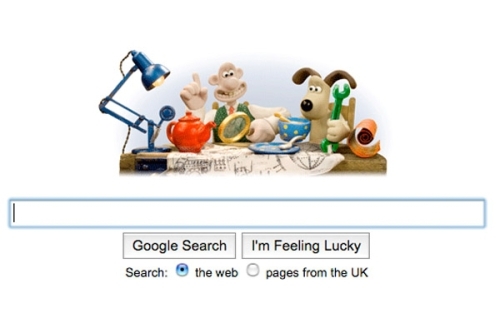 November 04, 2009 was the 20th anniversary of Nick Park's Wallace and Gromit and GoogleUK honored them in all their clay glory, partaking of a cup of tea, like the true Englishmen that they are. On that same day (November 4) on this side of the pond, Google in the States paid homage to Big Bird and Sesame Street on the recent 40th year birthday of Sesame Street. Google appeared to be especially fond of Sesame Street as they extended their tribute to them for an entire week. 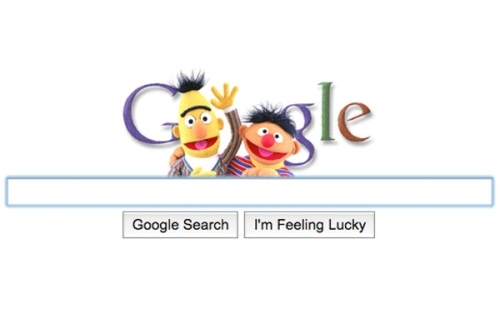 Here you have Bert and Ernie gracing the Google's homepage, two days later. 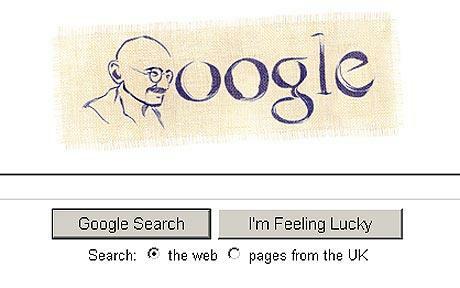 The face of the Indian independence movement leader replaces the letter "G" on Google's home page. He joins an elite group of icons including Albert Einstein and Leonardo da Vinci who have also appeared as a 'Google Doodle'. Back on July 12, Google chose to mark the 40th anniversary of the Apollo 11 moon landing with one of its doodles. A little bit difficult to discern, but if you look closely, you will see that "Google" is spelled out in the pattern of the craters on the lunar surface, with the L created by the footprints leading to the Eagle landing. On August 29, on the 51st Birthday of Michael Jackson, this doodle was created in memory of the famous Pop Star's recent passing. 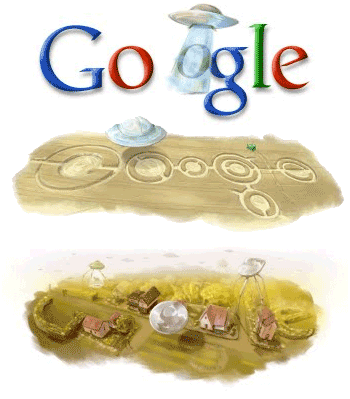 Google admitted that their September postings of three related doodles displaying UFOs and crop fields in its logo were designed to mark the 143rd birthday of author HG Wells birthday. However the cryptic reveal of each new doodle was introduced purposely as a puzzle and over the course of 16 days many of us had no idea what they actually meant. For a complete explanation of the meaning behind each doodle, take a look at Google's official blogpost. Perhaps most fitting to end this Top Ten list is to feature Google's tributes of tributes - to Google itself!. In this instance, Google 'doodled' itself on the eve of their 11th year anniversary. 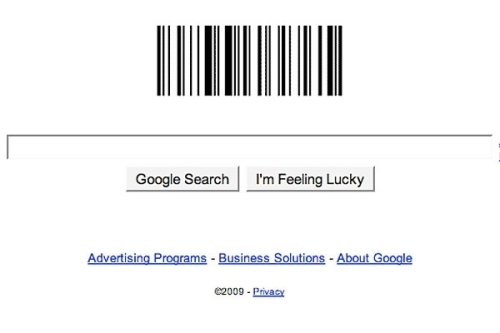 The search giant's name appeared with an extra letter "L" on its home page, a modification that did not escape the notice of the Internet. Within hours of the new logo going live, "why is Google spelt wrong" and "why does Google have two Ls" were two of the most popular search phrases on the Web. 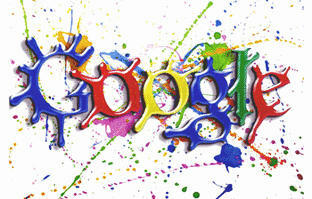 For more on Google's 11th annivesary doodle, see my previous blog, "What the "L" Is Going On With Googlle." If this post has tickled your fancy and you would like to learn more about Google's 100s of doodles, head over to their Google's Logo Page for a complete rundown over the years dating all the way back to its inception in 1998. Now, if you would, please take a moment to take our "Top Ten Googles Doodles of 2009 POLL" and let us know which Google doodle you favor the most. Or if we missed your favorite, provide us that feedback in COMMENTS below. Workstations For The Web 3.0 Crowd Are Not Your Father's Cubicle! THIS IS SO SO SO SO KOOL!!!!!!!!!!!!!!!!!!! Thanks for the comment. We will ask our sitemaster to figure out what is going on and fix it. i am in Band and were doing this im not a very good drawer but i think im going to do it these are amazing drawers SIMPLY amazing! by the way i love these doodles!